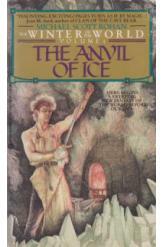 The Anvil of Ice by Michael Rohan, Sci Fi. Book is in good condition, all pages intact. In a magical, monster-infested world that existed before the Ice Age, a young man armed with the magic of fire and metal finds himself in the hero's role. Book 1 of the Winter of the World series.